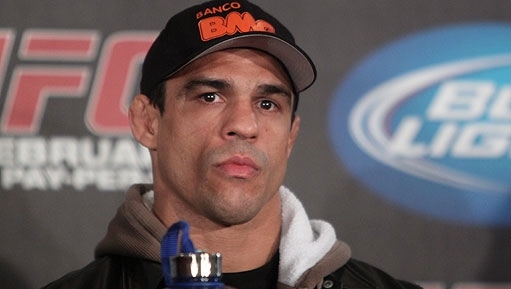 Vitor Belfort wants to fight for the UFC middleweight championship. Lyoto Machida wants a rematch with Phil Davis. Neither is going to get the fight that they want, but they may just get a fight against each other. UFC president Dana White wouldn’t mind putting the two in a fight together, especially if it were at 185 pounds, according to a report on UFC Tonight on Tuesday. In fact, White told UFC Tonight reporter Ariel Helwani that he would make the fight the co-main event of UFC 167: St-Pierre vs. Hendricks, the promotion’s 20th Anniversary event. UFC 167 takes place on Nov. 16 at the MGM Grand Garden Arena in Las Vegas. Belfort is coming off of back-to-back knockout victories over Michael Bisping and Luke Rockhold at 185 pounds, and feels it should have been enough to put him in a title fight, especially after Chris Weidman upset Anderson Silva. At the very least, he believes he is the No. 1 contender at middleweight. As such, Belfort’s wife, who is also his manager, has said that Belfort is willing to fight while he waits for Weidman and Silva to hash out their rematch, but not in a 185-pound non-title bout. He’d fight at catchweight, light heavyweight, or even heavyweight, but doesn’t like the idea of risking his place in the line for the middleweight title. After losing a unanimous decision to Phil Davis at UFC 163, Machida wanted an immediate rematch, believing the judges scored the fight incorrectly, but Davis doesn’t appear to have any interest. 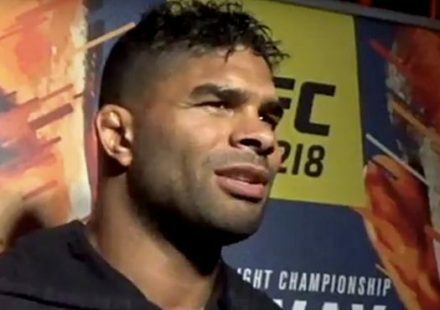 Machida went into that fight having defeated Ryan Bader and Dan Henderson in succession, so the loss was a huge blow to his hopes of scoring another shot at UFC light heavyweight champion Jon Jones. Machida has toyed with the idea of dropping down to middleweight, and his camp reportedly told Helwani that they wouldn’t mind a fight with Belfort at 185, 205, or even a catchweight. If the fight comes together at UFC 167, it would certainly help add some punch to a fight card that already is topped by UFC welterweight champion Georges St-Pierre putting his belt on the line against top contender Johny Hendricks.